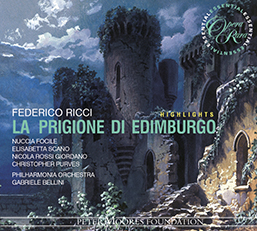 Born in Militello, Sicily, Nuccia Focile studied with Elio Battaglia at the Turin Conservatory. 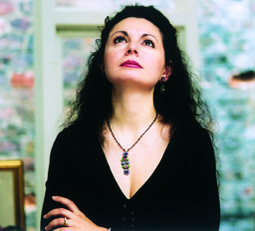 She has sung at all the world’s great opera houses, making her Met debut as Mimi in La Boheme in 1995, and enjoys an extensive concert career, including highly acclaimed Edinburgh Festival recitals. 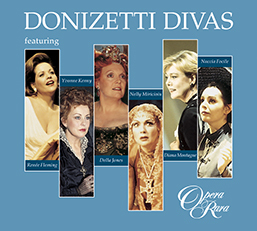 Her operatic recordings include Eugene Onegin with Semyon Bychkov and three operas with Charles Mackerras – Cosi fan tutte, Le nozze di Figaro, Don Giovanni. 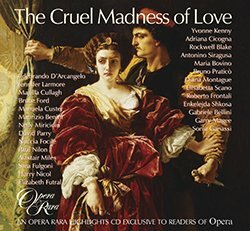 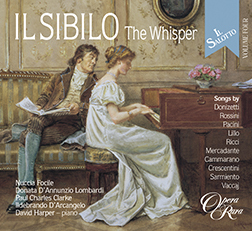 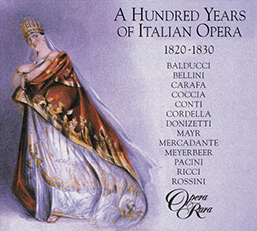 For Opera Rara, she sang the part of Eleonora in Donizetti’s L’assedio di Calais, and can be heard on the anthology A Hundred Years of Italian Opera, 1820-1830, in highlights from Ricci’s La prigione di Edimburgo, plus Volume 4 of the Il Salotto series (Il Sibilo).